Can I disable the Ctrl+scroll zoom function in NetBeans? There was a plugin to kill the analogue "feature" in PHPStorm but I haven't found anything for NetBeans. Not the answer you're looking for? Browse other questions tagged netbeans scroll zoom ctrl . How to disable scrolling temporarily? 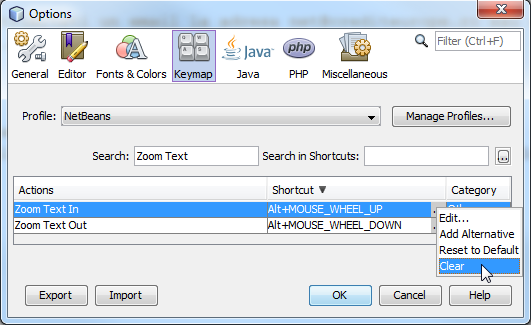 How to zoom text in netbeans without mousewheel?